Korea and Taiwan Should Save Youths to Stop Being "Hell Joseon" and "Ghost Island"
By Hong Soon-do, Beijing correspondent, AsiaToday - A society where derogatory buzzwords are rampant is definitely unhealthy. In this respect, Taiwan is not in a good situation as Korea. Perhaps, it's worse. You will easily find it out just by looking at the favorite buzzwords used in the media. And one of the buzzwords is "guidao," a special nickname that young Taiwanese call their country. It means a ghost island. It's not very different from Korea's "Hell Joseon", a term referring to how tough life in Korea is. Also, there is another buzzword " 22k" - which refers to the NT$22,000 (KRW 700,000) starting salary for university students. This is not much different with Korea's "880,000 won generation", which was once a popular coinage referring to low-paid young generation in Korea. These terms tell us that the Taiwanese youths are discouraged. They should be feeling embarrassed to talk about hope if they earn the minimum monthly wage of NT$22,000. Moreover, Taiwanese media outlets recently reported that 10% of young Taiwanese earn below the minimum wage. Then a heroine appeared in Taiwan last January. She is Democratic Progressive Party's Tsai Ing-wen, the first female president of Taiwan elected with overwhelming public support. However, she messed up her pledge of making Taiwan as the paradise for young people in Taiwan after solving youth unemployment in less than first 100 days in office. Yet, the term "Ghost island" is still wandering around Taiwan along with "Hell Joseon." Some may say that it's too early to measure Tsai government by its performance in its first 100 days. But there is a saying that goes, "See one and you've seen them all." It seems almost impossible to fix youth unemployment. Besides, her recent move is disappointing young people even further. It's true considering the fact that Tsai decided to change her presidential car into a luxurious bulletproof car that worth NT$24 million (KRW 841,440,000) . Taiwan was once one of the so-called Four Asian Tigers (Hong Kong, Singapore, South Korea, and Taiwan). However, it is now referred to as an earthworm, according to recent reports of Taiwanese media outlets. 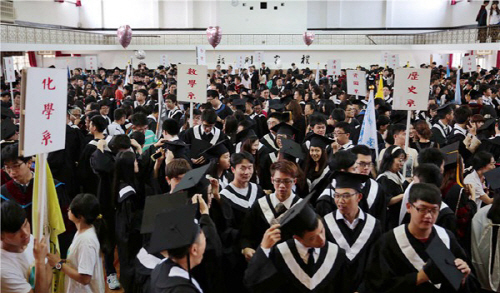 It seems to difficult to wipe away such disgrace if Taiwan fails to save Taiwanese youth. Saving youth seems the only way of survival for Taiwan and South Korea. 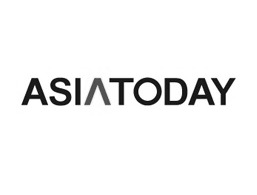 AsiaToday is a comprehensive global media group that provides a variety of latest news from Korea and other East Asian countries.